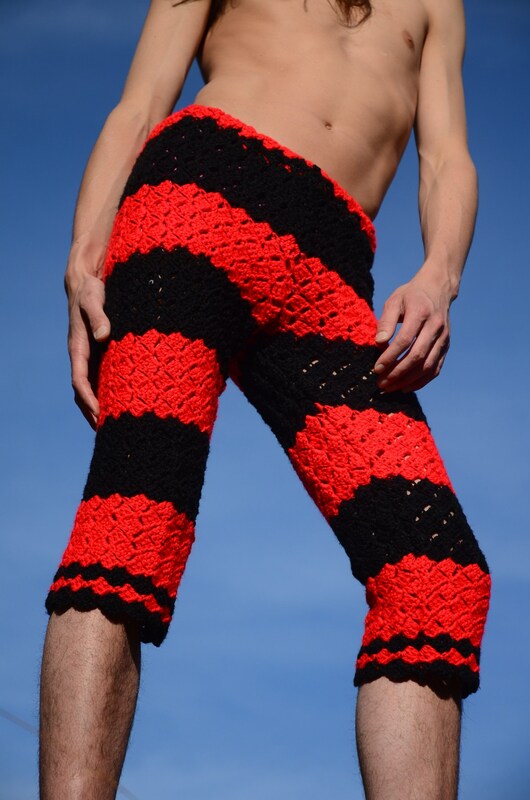 These are crochet pants with black and red horizontal stripes. 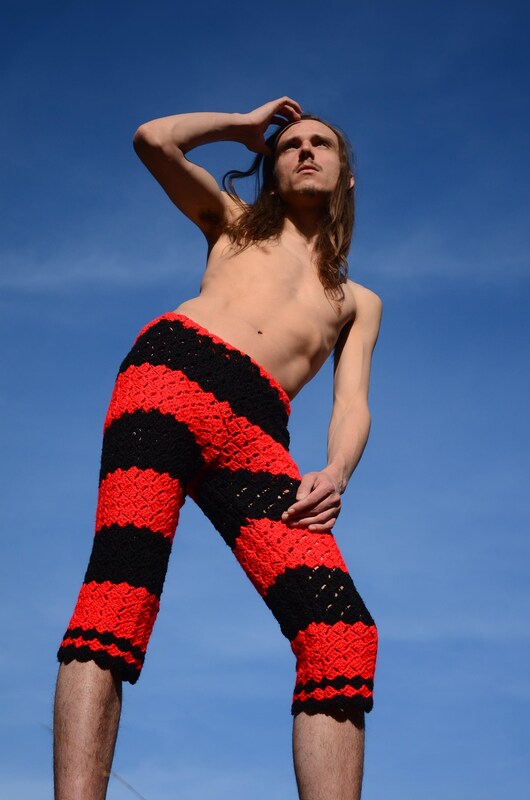 Made from a repurposed afghan blanket crocheted in acrylic yarn. 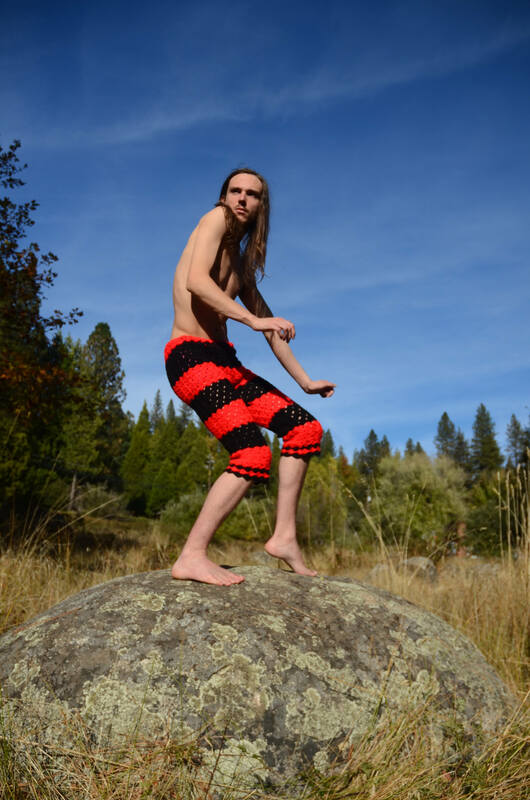 These pants can fit a 28-32 waist, and can size up for down due to the stretch of the crochet. 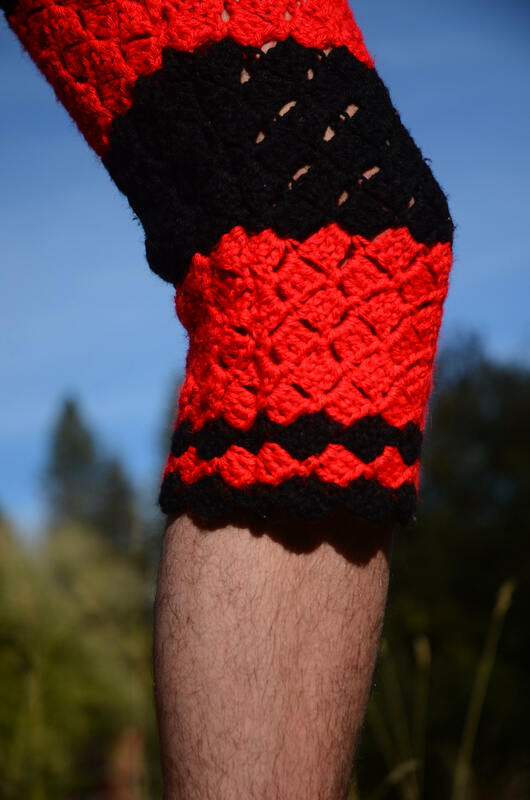 Finished with a drawstring waist.